The Peninsula. The last of the mid 90's construction boom in Bangkok, Thailand. 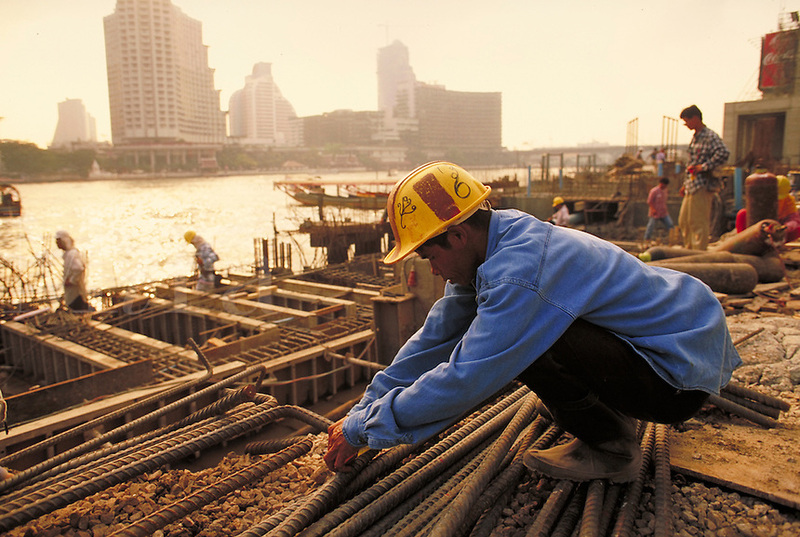 Close up of laborer working with rebar. Bangkok, Thailand.